Well that didn’t take long. Just a few days after Aurous launched its free, torrent-based music streaming service and hours after it won widespread media coverage, the RIAA announced an aggressive lawsuit to bring it down. So much for easy piracy. It’s no mystery that the approach Aurous is taking to streaming copyrighted content lives in a legal grey area. Aurous is essentially a Popcorn Time for music, and Popcorn Time has proved to be rather resilient to litigation since it doesn’t actually host any infringing content. The RIAA’s lawsuit zeroes in on a key difference between the two players however. 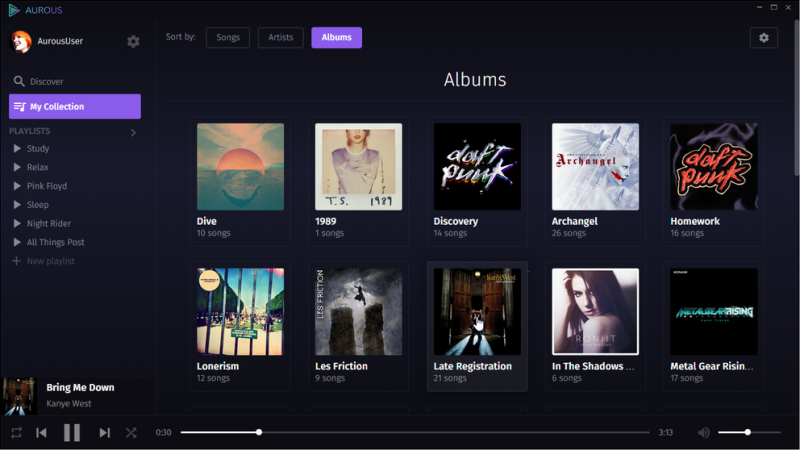 Aurous not only pulls from the BitTorrent network but also lets you connect with sites like MP3WithMe and VK, the popular Russian social network. The RIAA says that these sites are brimming with free, copyright-protected content. It’s sort of weird for the RIAA to use the term “business model,” though. Aurous is so far completely free as well as entirely ad free. That actually sounds quite useful! For now, we’re sure to see development slow as Sampson and friends are forced into the ring with the RIAA and its army of lawyers. So much for good ideas.